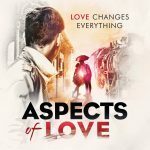 Casting has been announced for the forthcoming revival of Andrew Lloyd Webber's Aspects of Love, which opens at Manchester's Hope Mill Theatre previewing from 5th-7th July and running from 7th July to 9th August. The musical first opened in the West End in 1989, running until 1992, has been on a UK tour and was recently produced at the Menier Chocolate Factory. It was nominated for six Tony Awards when it premiered on Broadway in 1990. Featuring the classic number "Love Changes Everything" which was a chart hit for Michael Ball , the musical is based on the novel by David Garnett, with lyrics by Don Black and Charles Hart. It tells the story of passion and love across three generations of a family in 1940s France and Italy. Cast in the revival are Kimberly Blake (Half a Sixpence) who plays Giulietta, Jason Kajdi (Our House), in the role of Hugo, Felix Mosse (The Rocky Horror Show) as Alex, Julia J Nagle (An American in Paris) as Elizabeth, Minal Patel (The Secret Garden) as Marcel, Jerome Pradon (Jesus Christ Superstar) as George and Kelly Price (A Little Night Music) in the role of Rose. Making their professional debuts in the production are Rosie Cava-Beale, Jack Churms and Eleanor Walsh . The revival is directed by Jonathan O'Boyle (Pippin) with musical direction by Gareth Bretherton, set and costume design by Jason Denvir, choreography by Sam Spencer-Lane, lighting design by Aaron J Dootson and sound design by Calum Robinson.